The National Air and Space Museum received RocketMotorTwo, the hybrid engine that powered Virgin Galactic’s SpaceShipTwo, called VSS Unity, into space for the first time Dec. 13, 2018. This historic flight showcased Virgin Galactic’s newest vehicle, capable of carrying up to six passengers into space. RocketMotorTwo will eventually be displayed in the “Future of Spaceflight” exhibition, scheduled to open in 2024 as part of the museum’s seven-year renovation. Virgin Galactic pioneered commercial spaceflight with the launch of SpaceShipOne in October 2004. That historic vehicle is currently on display in the museum’s “Boeing Milestones of Flight Hall.” The recent launch of VSS Unity builds on the previous success of SpaceShipOne and is a major step forward as Virgin Galactic prepares to send passengers into space for the first time. RocketMotorTwo is a hybrid engine that combines elements of solid and liquid propellant rocket engines. Solids are simpler and cheaper to operate, while liquids provide more flexibility. They can be turned on and off during flight and can also by throttled to vary thrust. All of these attributes are desirable and maximized in SpaceShipTwo. 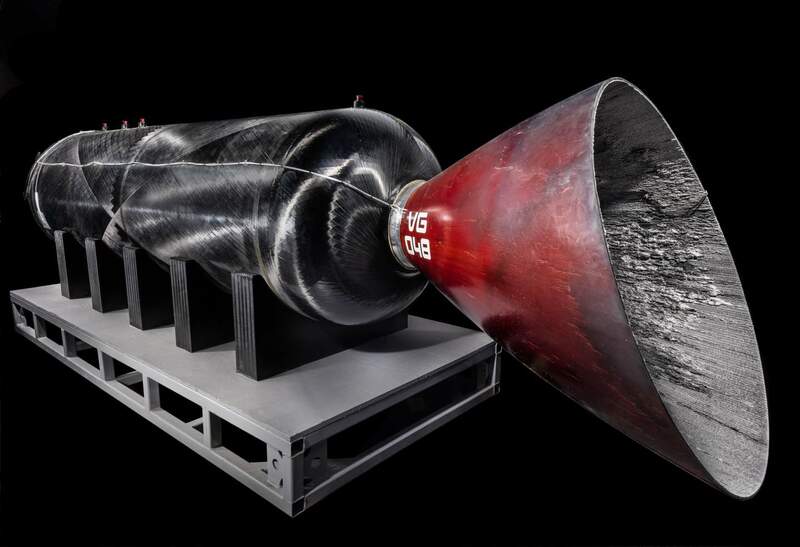 The rocket motor will be displayed at the museum’s Steven F. Udvar-Hazy Center in Chantilly, Virginia, before the “Future of Spaceflight” exhibition is completed. To learn more about the transformation of the museum’s building on the National Mall, visit airandspace.si.edu/reimagine. The National Air and Space Museum in Washington, D.C., is located at Sixth Street and Independence Avenue S.W. The Steven F. Udvar-Hazy Center is located in Chantilly, Virginia, near Washington Dulles International Airport. Both facilities are open daily from 10 a.m. until 5:30 p.m. (closed Dec. 25). Admission is free, but there is a $15 fee for parking at the Udvar-Hazy Center.